A gordita in Mexican cuisine is a food which is characterized by a small, thick tortilla made with masa harina (corn flour). The gordita is in contrast to a taco, which uses a thinner tortilla. Gordita means "fatty" in Spanish. The gordita is typically baked on a comal, a small pan similar to a skillet. The gordita's thick tortilla is typically split and filled with guisos (soups or stews) or casseroles, like chicken, nopalitos, carne al pastor, frijol con queso, huevo con chorizo, picadillo, etc. These are made mostly for lunch and are accompanied by many different types of salsas. 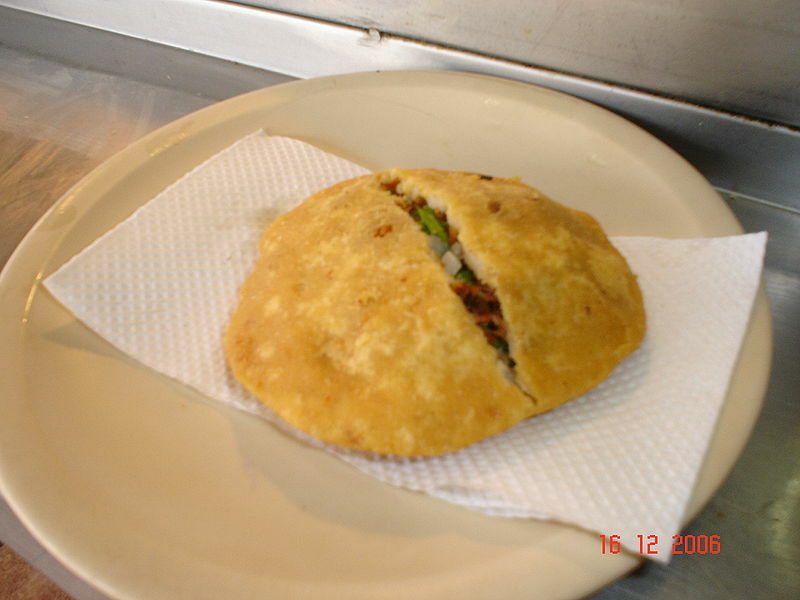 The most traditional gordita in the central region of Mexico is filled with chicharrón prensado (a type of stew made with pork rind and spices) and is called gordita de chicharrón.